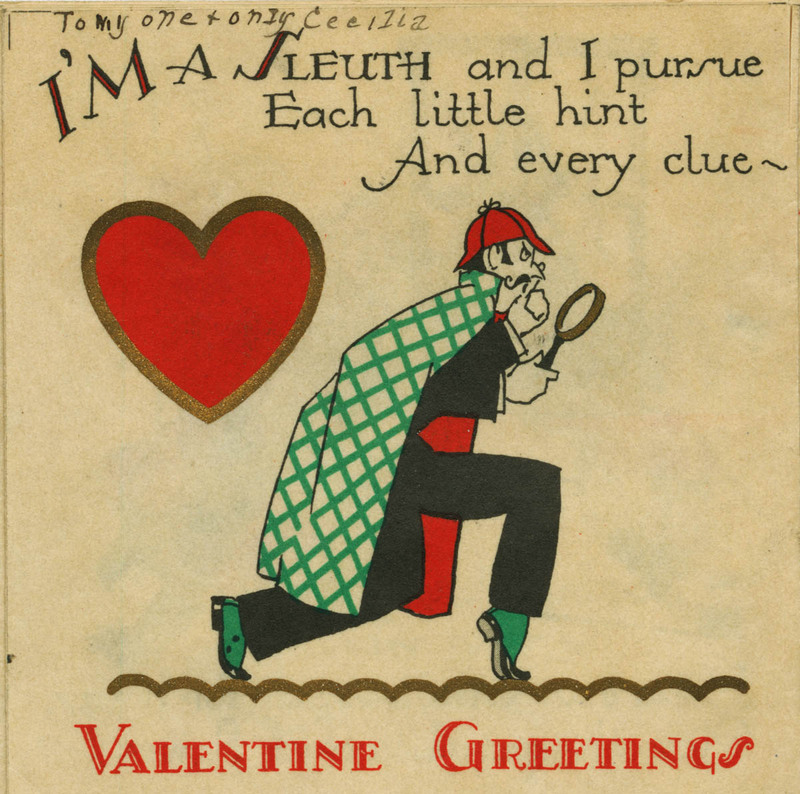 We at the University Archives have been looking for love this February, and we’ve found it in all the right places! In IU student publications, photographs, scrapbooks, and other collections at the University Archives, that is. The following images have been chosen for their connections to the Valentine’s Day holiday, love, dating, and celebration of human relationships in general. We hope they’ll warm your hearts, no matter how cold it gets outside! To find out more information regarding the images used in this gallery, or about IU Archives collections in general, please contact us at archives@indiana.edu. Gallery curated by Jessica Ballard and Mary Mellon, February 2017. 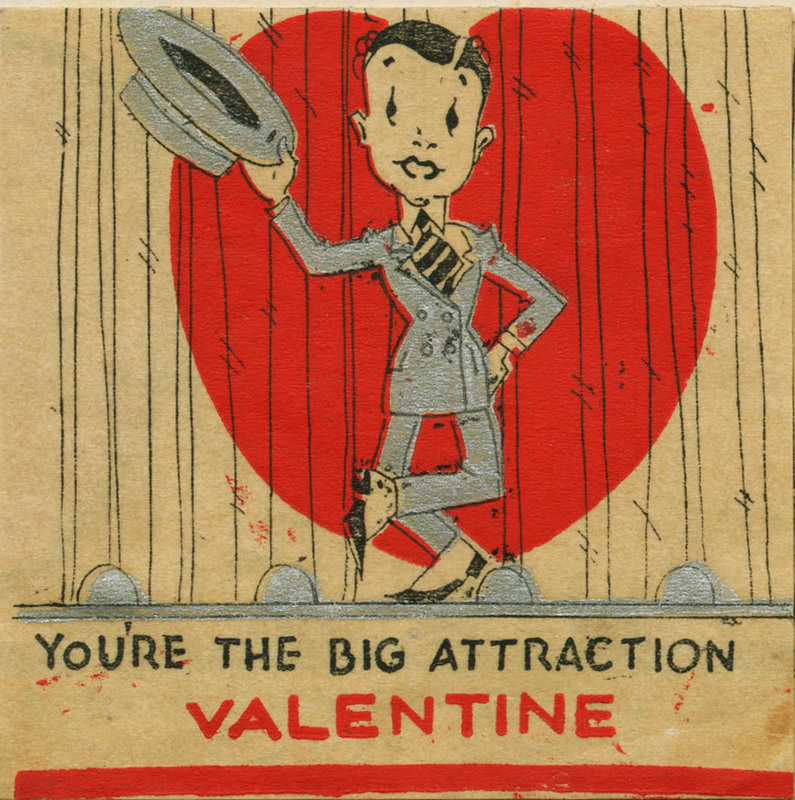 Valentine from the album of Cecilia Barbara Hendricks (Wahl), A.B. 1938. 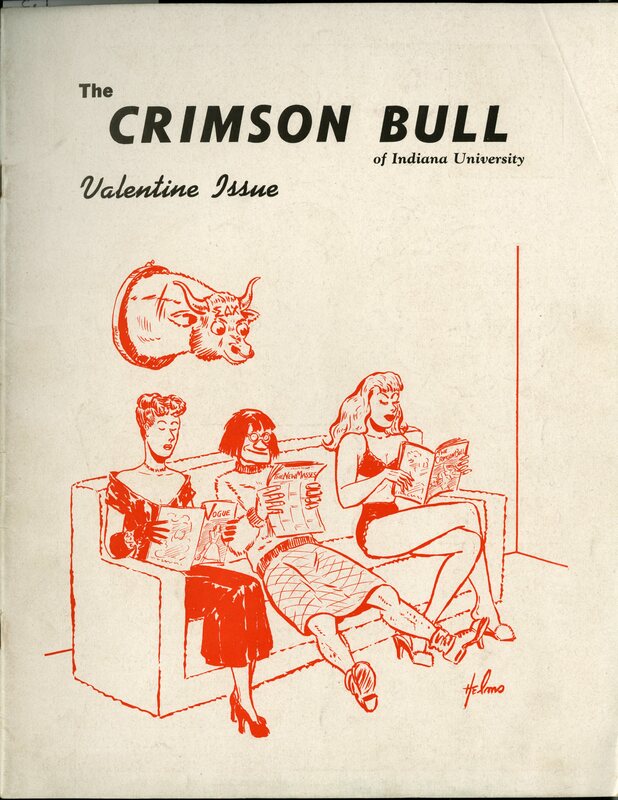 Cover of the February 1948 issue of the Crimson Bull, a student humor magazine published by Sigma Delta Chi. From the Crimson Bull collection, C641. 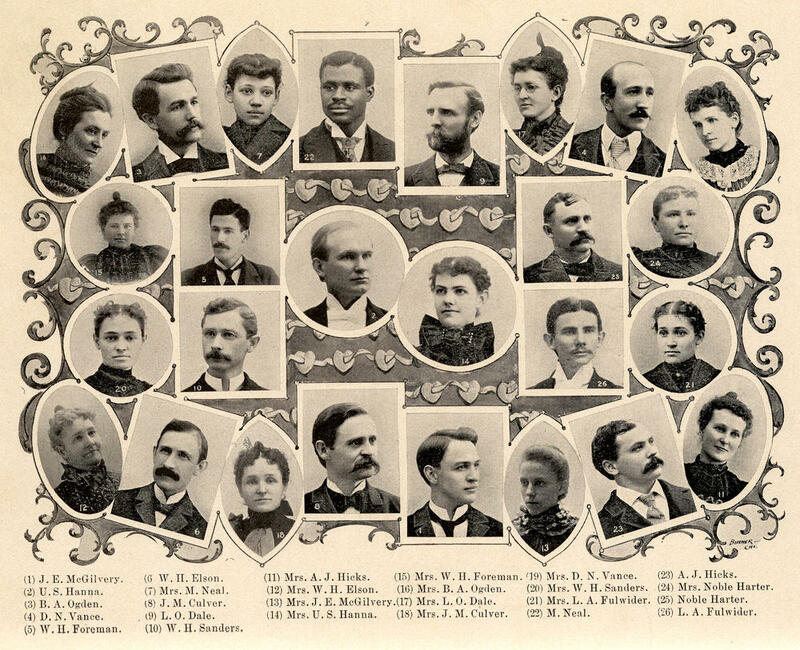 The Married Folks' Club consisted of married members of the Class of 1895 and their spouses. Marcellus Neal and his wife (Lottie?) appear in the top row. From the 1895 Arbutus. 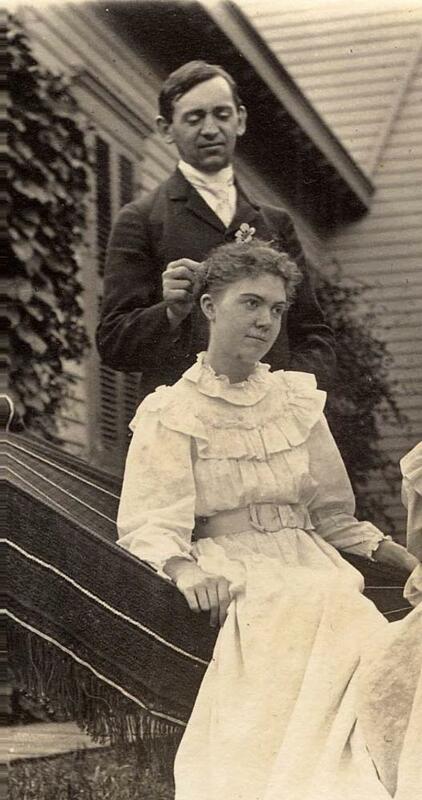 William Lowe Bryan (IU President, 1902-1937) and Charlotte Lowe Bryan sharing a tender moment, circa 1900. The couple were both graduates of IU and were married in 1889. William adopted 'Lowe' as his middle name in Charlotte's honor. 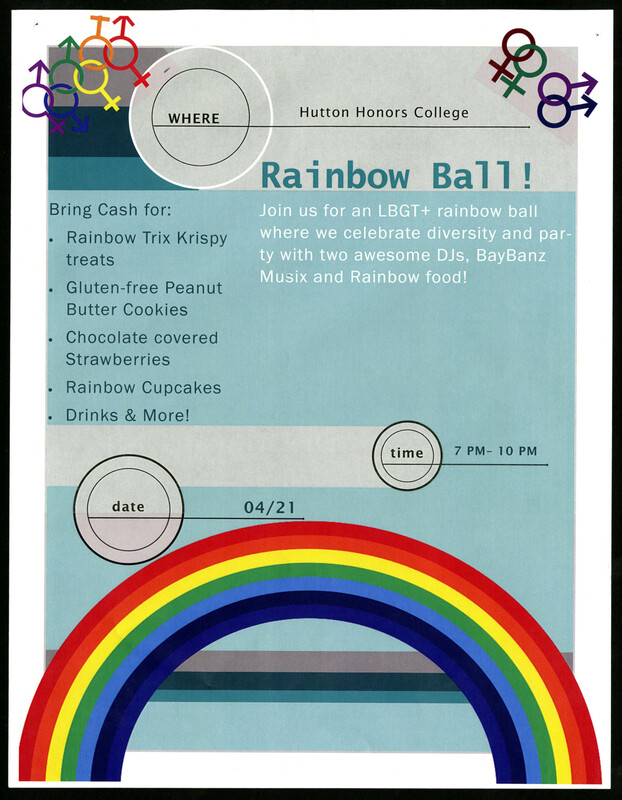 Colorful ad for a celebration of diversity, sponsored by the IU GBLT SSS Office, complete with DJs and chocolate-covered strawberries. From the IU LGBTQ+ Culture Center records, Collection C435. 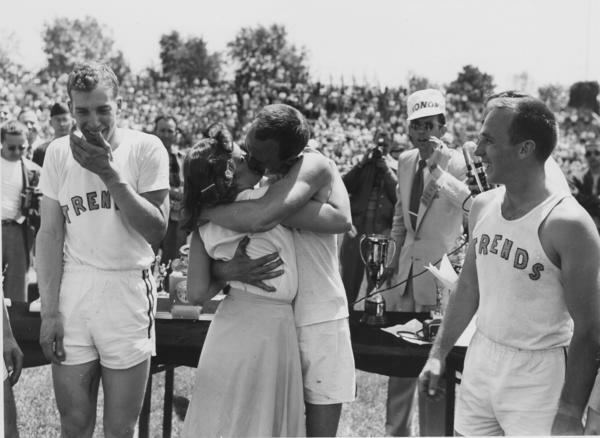 A couple celebrates with a kiss as the South Hall Buccaneers win the first Little 500 bicycle race, 1951. From the IU Archives Photograph Collection. This photo is from the scrapbook of Pauline Edger Day (AB 1916). 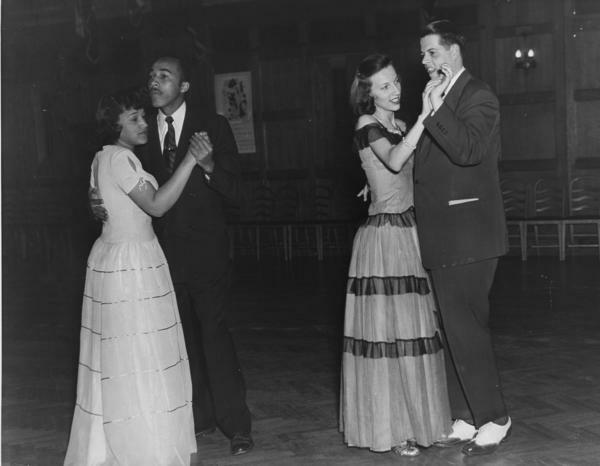 Based on other items surrounding the photo on the page, we're guessing that this was a Valentine's Day dance. 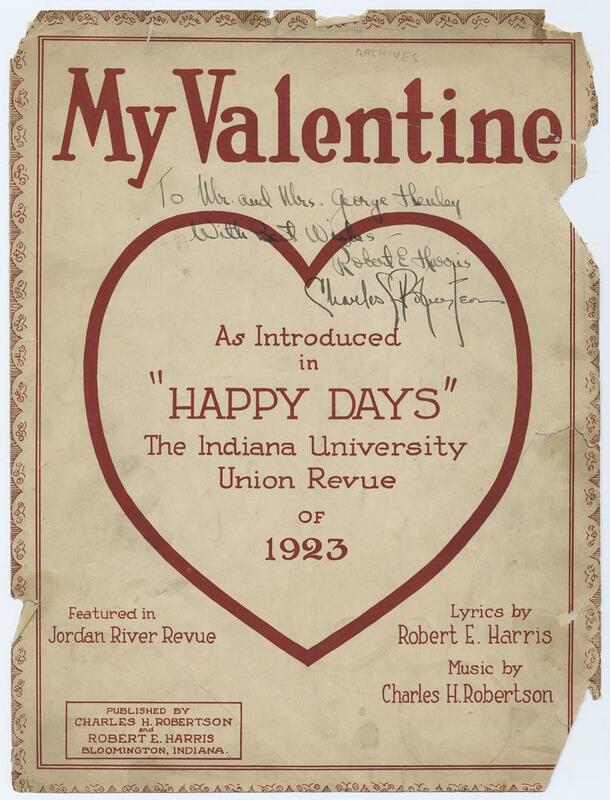 Sheet music cover from the IU Union Revue's ''Happy Days'', 1923. From the Jordan River Revue records, C242. Students break out the fancy dress for a dance at the Indiana Memorial Union, May 9, 1947. From the IU Archives Photograph Collection. A scene from the musical ''Have a Heart'' as performed by the Jordan River Revue, February 26, 1942. From the IU Archives Photograph Collection. 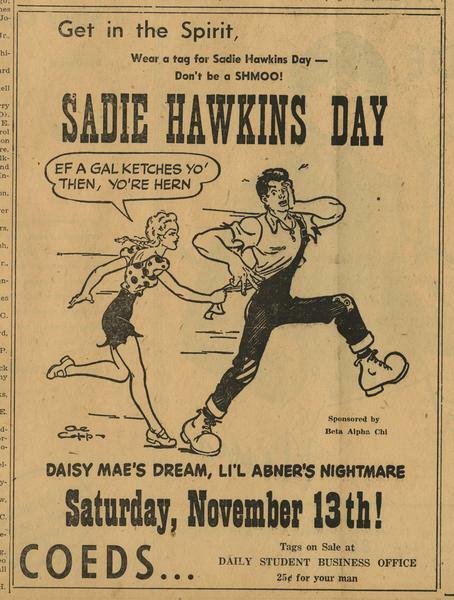 This ad appeared in the Nov. 4, 1948 issue of the Indiana Daily Student. The notice features characters from the Li'l Abner comic strip that lent the name to the annual ''ladies' choice'' tradition.